​A 60 minute drive from the booming Canadian city of Calgary, our Canmore limo service allows our customers the opportunity to indulge in the stunning Canadian Rockies. Our most popular limousine service to Canmore is to and from Calgary International Airport, YYC. 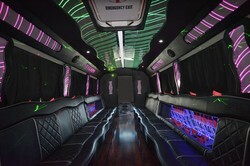 If you are wanting limo service in Canmore for weddings, graduations, girls night etc, please contact us for a quote. We also provide limo rides to Banff and Calgary so that you can view Alberta's great Rocky Mountains in style. Book now to explore some of Canada’s top tourist destinations in a Canmore limousine! When customers rent a limo to Canmore with us, we provide them with a wide array of transportation options. Our fleet comprises traditional limousines, sedans, SUVs, exotic cars, as well as coach party buses. Every car can navigate safely the region’s beautiful mountain highways. We cover Calgary, Banff and Canmore, which spans approximately 125 kilometers across mountainous terrain. For those looking to rent a limo to Canmore from Calgary, we are more than willing to pick you up from Calgary’s international airport and drive you straight to Canmore. 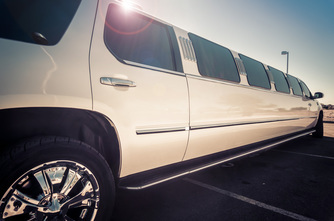 For entrepreneurs seeking to take advantage of the area’s incredible economic growth, a limo in Canmore may be the ideal environment to impress that potential business partner or host an international conference. ​Additionally, for a more urban experience, Calgary offers a range of activities for any kind of tourist. Be sure to take advantage of the insight offered by our outstanding team of Canmore limousine chauffeurs. To provide the best customer service among the limousine companies in Canmore, we customize each trip to the specific needs of our customers. As mentioned above, we offer shuttle to and from Calgary to Canmore and Banff. We lift the burden from our customer’s shoulders when it comes to managing the transportation logistics for corporate group trips or conferences and other events. 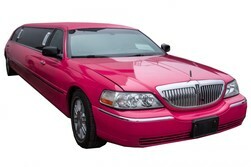 We leverage the knowledge of our Canmore limo chauffeurs. We are more than willing to plan trips with several destinations within a single itinerary across the region, and we are incredibly flexible regarding any unforeseen changes in the travel plans of our clients. If our customers decide to spend a night in Canmore’s picturesque downtown and historic casino, our chauffeurs will ensure that these plans may be fulfilled. We provide Canmore and Banff limo services for nearly any occasion. Call for a free quote today, as we are constantly expanding the range of package deals for our Canmore limousine clientele, so please feel free to call any of our offices to find out more about the transportation arrangements you can make to turn your Alberta mountain dreams into a reality. Why not make this memorable experience even more unforgettable by booking a limousine in Canmore today? Website Design by Swan Media Solutions Inc.